We’re living beings and we eat for living and live for eating. The food is what keeps us alive. On the other hand, the food industrialization slowly takes over our basic instincts that allowed us to harvest our own foods. The food industry is monetizing on our needs and everyday life difficulties by offering a wide choice of food products that are ready to serve. As an example, who’d want to spend time growing tomatoes, then making their own sauce when you can afford to save the time and investment and get the tomato sauce that’s ready to serve? The products made by the food companies not only look good and come in pretty packaging; they often taste better than those prepared at home. And for a reason – the reason no one would be happy to hear. After all, when mass food production takes place, the amount of raw ingredients that go into the food production is enormous. To ensure that the food does not spoil and preserved, the raw foods go through a very vigorous process of disinfection, milling, cutting, cooking, pasteurizing, dehydrating, re-hydrating, etc. The cooking processes are so aggressive that by the time this food makes it out of the production line, it tastes nothing like food. And while it all makes sense when looking at the food labels, it does not make sense for many who are lucky enough to be sensitive and recognize initially short term health issues caused by low grade chemical additives that are often hidden under misleading food products labeling. Our food supplies became a commercial science, and as with any science, it delivers results. The food industry has reached its prime by offering the foods that taste good and look trustworthy with help of creative packaging. And this is where the issue of mass food production becomes an issue of mass poisoning. The entities responsible for foods classification, ingredient usage approval, production and delivery are so well established and financed, it became impossible to make the public aware of the truth that lies behind monetization on mass food production. Since the food producers are required to list the major ingredients on food labels, the food labels usually list an extensive amount information. And while not all people read the labels or aware of the dangers of some very known food additives, the public has become more educated on the subject with help of information available on Internet. And it has been causing substantial revenue losses to those manufacturers that extensively list all ingredients as required. And that’s where the food industry has creatively overcame the issue by introducing a new concept in labeling that allows for misleading the consumers to gain the control of sales and improve a competitive edge. The magic labeling term that restores the sales of biochemically modified food products that were previously avoided is “spices”. Although the spices may presume the natural food spicing ingredients such as garlic, basil, peppers and so on, in food production domain, anything that alters or adds to the taste is called a spice, whether it’s organic or biochemically synthesized compound. As an example, some food brands abuse this to a considerable level by only listing the whole foods on the processed food labels, and adding the word “spices” at the end of the ingredient list. If anyone attempts to call these food manufacturers to find out what constitutes the “spices”, the likely answer would be – “Since the spices composition is frequently modified, we do not have a list of ingredients that go into spices”. The toxic additives initially cause symptoms such as headaches, sweating, numbness, rapid heartbeat, nausea, weakness, oral ulcers, dermatitis (eczema), bloating, diarrhea, pruritus (itch), skin crusting and dryness. As a result of lowered immune response, individuals become prone to opportunistic infections such as those causing lung infections, cold sores, HPV virus reactivation, acne, rashes, etc. In the long term, cancers of various types are the outcome of regular consumption of these man-made toxins. When buying food products that do have the word “spices” in the ingredients list, it is reasonable to assume that one or more potentially harmful substances are present. Disodium guanylate. Also known as sodium 5′-guanylate and disodium 5′-guanylate, is a natural disodium salt of the flavor enhancer guanosine monophosphate (GMP). Disodium guanylate is a food additive. It is commonly used in conjunction with glutamic acid (monosodium glutamate, MSG). It is toxic and classified as not safe for babies under twelve weeks, and should be avoided by asthmatics and people with gout. Yeast Extract and Soy Protein Concentrate. Yeast extract is used as a flavor enhancer in processed foods of all types. Yeast extracts and fermented foods contain glutamic acid, which, in solution with sodium ions, is the same as MSG. This combination may be harmful to human health, and food manufacturers use yeast extract to avoid adding ‘MSG’ to the food packaging label. Hydrolyzed vegetable protein. Also known as HVP is a common flavor enhancer used in processed foods like soups, chili, sauces, gravies, stews and some meat products such as hot dogs. It’s often seen in dips and snacks like potato chips and pretzels. Hydrolyzed vegetable and soy proteins are a source of Monosodium Glutamate, containing anywhere from 10 to 30 percent MSG by volume. Citric acid. Citric acid does not usually cause allergic reactions in people who have a citrus allergy. This is because it is produced by the food industry from sugar and not fruit. Information in the early 1970s indicated that citric acid is carcinogenic. Yet, it has been “proven” by the food industry otherwise. Sea salt additive: Yellow Prussiate of Soda. Sodium Ferrocyanide is a chemical additive. It is added food grade salts as an anticaking agent. Morton sea salt is one of the labels that use it. When Sodium Ferrocyanide is combined with iron, it converts to a deep blue pigment called Prussian blue. In imaging, it is used for bleaching, toning, and fixing. In welding industry it is used as a stabilizer for the coating on welding rods. In the petroleum extraction, it is used for removal of mercaptans. Sodium Ferrocyanide is produced industrially from hydrogen cyanide. Hydrogen cyanide (AC) is a chemical warfare agent. Exposure to hydrogen cyanide (AC) can be rapidly fatal. It interferes with oxygen metabolism by every organ of the body. High-Fructose Corn Syrup (HFCS). It is made from yellow dent corn, has been shown to cause obesity, heart disease by invoking insulin resistance. New research shows that fructose (like the fructose in HFCS) causes cancer cells to metastasize in a way that other sugars do not. High-fructose corn syrup is also used in medications. Especially those designated to kids. Artificial Flavors. These are additives designed to mimic the taste of natural ingredients. To mimic a certain flavor, each compound may consists of up to a couple of hundreds man-made chemicals which are not well studied and only time will show how many diseases result from these compounds. At this point these are known to cause allergic and behavioral alteration reactions from imbalance of neurotransmitters. Monosodium Glutamate (MSG). The most famous offender of most known food additives. It alters a perception of taste and creates severe health issues in both short and long term. Unsuspecting individuals may never recognize symptoms such as headaches, skin rashes, cognitive degradation, facial numbness, weakness, rapid heart rate, nausea, chest pain, facial pressure or tightness and other symptoms that may seem initially mild. In long term, the health degradation may become significant to the point of disability from diseases such as Parkinson’s Disease, Dementia and Alzheimer’s disease. 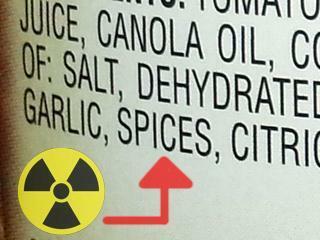 All spice, yeast, protein or even herb extracts can contain MSG. Observe the term ‘extract,’ especially in salty foods. Artificial Colors. These compounds make foods look appealing, but their colors are deceptive. Pediatricians have long noted and complained about artificial dyes as they have been linked to hyperactivity, attention deficit disorder (ADD) and attention deficit/hyperactivity disorder (ADHD). The food industry uses over 15 million pounds of the dyes in the food supply each year. Some of the food dyes are listed below and in mouse and rat studies produced immune suppression and formed cancers. Blue 1 -No in utero studies. One abstract (study not published) reported kidney tumors. Red 40 – Reticuloen-dothelial tumors of the immune system. Yellow 5/6 – of 11 studies showed geno-toxicity. Hyperactivity in children. At this point the only workable solution to stay clear of all harmful food additives not listed on the food product labels is to avoid consuming any products that have “natural flavors and spices” listed on the label. Ultimately, preparing all foods at home is a healthy choice for both feeling well being and adding another healthy routine to a daily life.